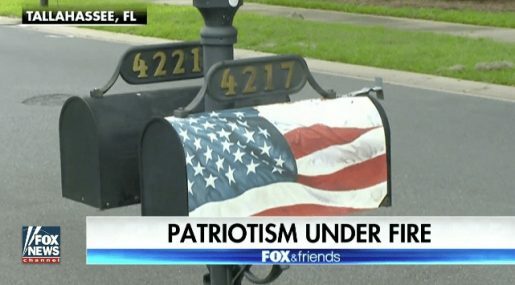 TALLAHASSEE, Fla. – A mailbox with American flag wrap is at the center of a dispute brewing between a retired U.S. veteran and a homeowners association in Florida. Retired U.S. Navy Officer John Ackert says he received a letter last week from the Southwood Residential Community Association in Tallahassee. Hence, they asked him to remove the wrapping of Old Glory around his mailbox or face penalties. 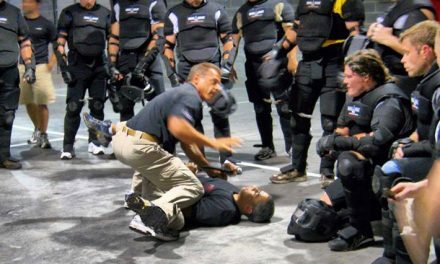 Boldly, Ackert told WCTV he’s not backing down without a fight and has made an appeal. Ackert said the HOA claimed the American flag wrap on his mailbox was not “in consonance” with the aesthetic values of Southwood. It seems when an HOA uses a word like “consonance” to inform a resident their patriotic mailbox is inconsistent with the others, their argument is lame! Quite frankly, we believe their perspective is not in consonance with ordinary and reasonable Americans. He said the wrap has been up for four years. Some of Ackert’s neighbors told WCTV the letter was a bit harsh. Moreover, the HOA’s actions did not surprise them. The HOA letter says Ackert has 15 days to remove the wrap or face a fine. He has not received a response to his appeal. Fox News included an interesting quote from Mark Twain as part of their report. “Never underestimate the power of ignorant people in large numbers.” Consequently, Twain’s admonition is frequently spot on.